Pauline has worked in the area of healthcare since 2001, with people with intellectual disabilities and since then her interest in healthcare has grown. In 2003, Pauline began her journey into complementary therapies, starting with Acupuncture and over the years it has become a true passion of hers. She has spent the last 10 years adding therapies to her skills portfolio. As a complementary practitioner and acupuncturist, Pauline’s focus is on the individual health needs of the client and she aims to provide a client-centred treatment by ensuring that they receive the best possible care. With the client’s consent, Pauline often combines therapies to enhance overall results. 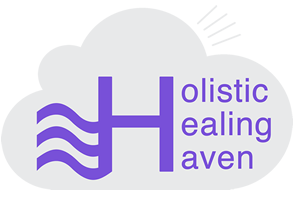 Pauline proudly set up the Holistic Healing Haven in a location ideal towards providing convenient access to natural therapies for Lusk, Rush, Skerries, Balbriggan and Swords. The centre is based on the train line to provide easy access to other areas including Clontarf, Malahide, Donabate and the wider Dublin area. From 2003-2006, Pauline studied Acupuncture with the Acupuncture Foundation of Ireland, with Dr. Wu Jidong and Professor Jin Huide, both of whom are Professors of the Nanjing University of Traditional Chinese Medicine, China. After graduating, Pauline travelled to Nanjing, China to gain valuable clinical experience and received her licentiate. In 2011, Pauline completed an I.T.E.C Reflexology Diploma and in 2013, Pauline added Hypnotherapy to her portfolio of skills. We are covered by all major healthcare companies, including V.H.I, H.S.A, Irish Life and LAYA. My experience at the haven was warm and professional. My therapist put me at ease as it was my first time getting acupuncture. I felt well informed and listened to. Not only did I see results after a couple of sessions it also created benefits in other areas of my life. I was more relaxed and less stressed. I would highly recommend them. Holistic Healing Haven offer a superb service! I have attended for acupuncture and reflexology and got great results from both! Pauline also offers fantastic advice and tips on general well being. If you want a high quality professional service, look no further! Holistic Healing Haven provides amazing acupuncture for a range of different things. When I first went I was very nervous of needles but they were very patient and caring and now I really look forward to the sessions. Pauline, the owner, is very knowledgeable on alternative healing and takes a personal interest in their client’s well being. My health has improved dramatically since starting acupuncture. It helps me relax and I can feel the benefits that the needles are achieving – which don’t bother me, due to Pauline’s approach. Even after the session, she is always doing research and finding ways to improve each subsequent treatment, which is a testament to her professionalism.